Outdoor Glam Session with Erica and Austie! 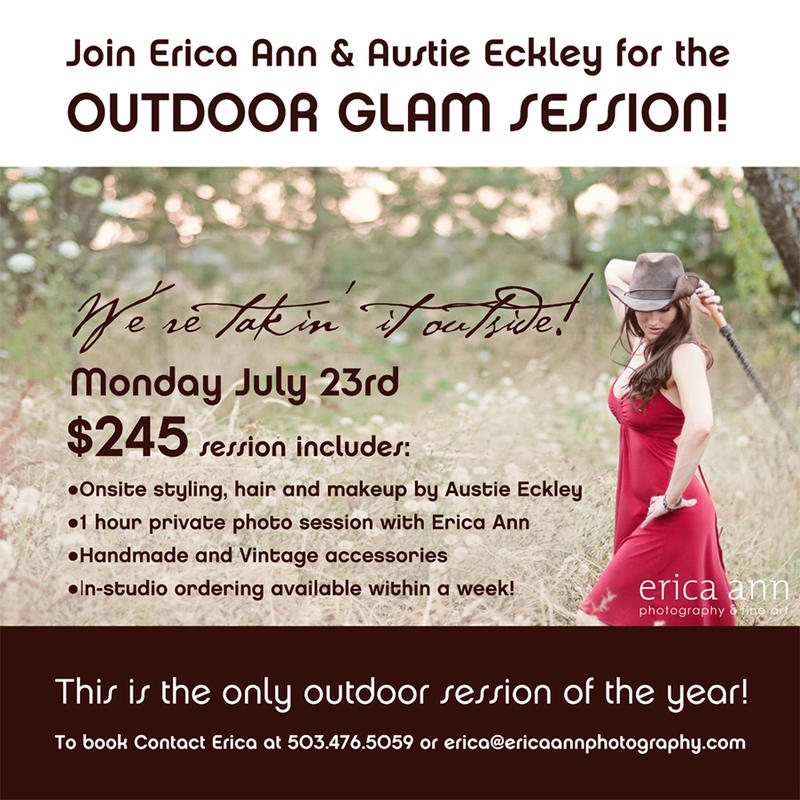 Join Erica Ann and Austie Eckley for the outdoor glam session! W’e’re takin’ it outside! The session is Monday, July 23rd. $245 session fee includes: Onsite styling, hair and makeup by Austie Eckley, one hour private photo session with Erica Ann, Handmade and vintage accessories, in-studio ordering available within a week! This is the only outdoor session of the year. 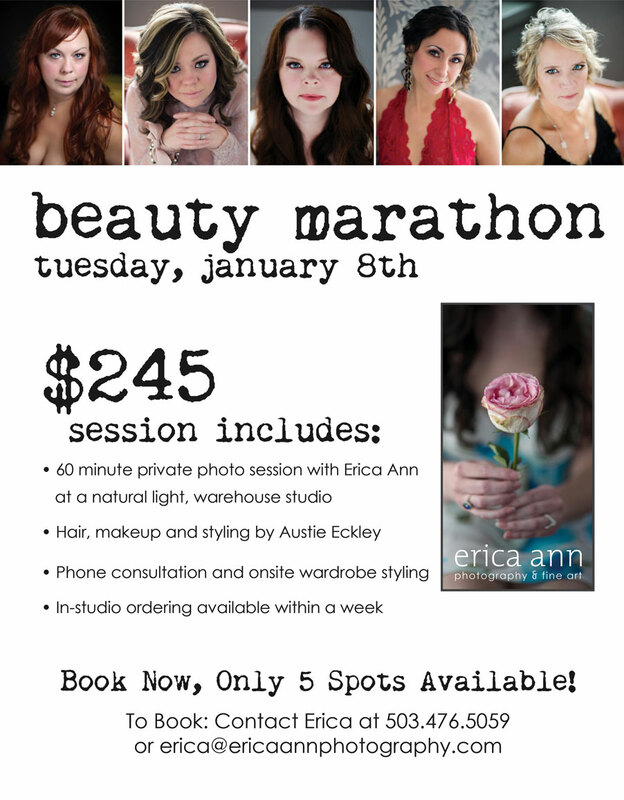 To book your spot, please contact me at 503.476.5059 or erica@ericaannphotography.com. Boudoir Before and After – The Fabulous Pamala! Man I love my job. I love working with beautiful women like Pamala. You know who else I love? Austie Eckley. She is a Hair-Beauty-Makeup-Stylist-Accessory-Designer-Extraordinaire! 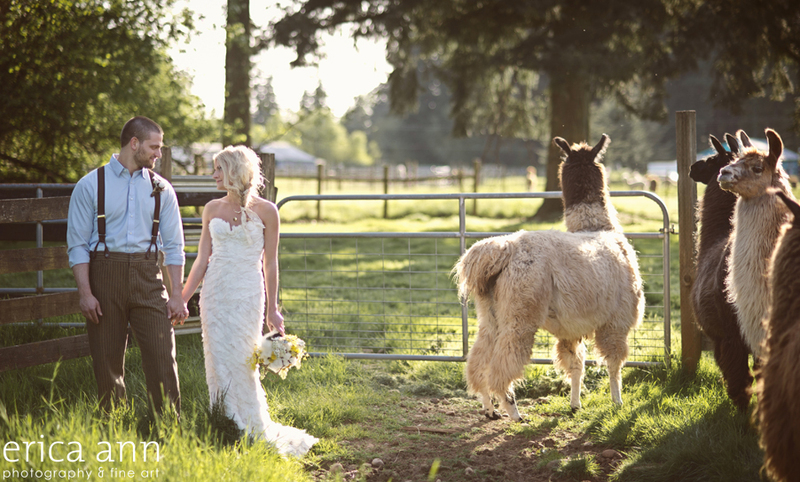 Check out her multiple appearances in the most recent issue of Portland Bride and Groom magazine and check out the awesomeness from our last stylized boudoir shoot.